Pinehaven small buildings are much more than just a shed. They’re perfect for use as a studio, music room or hobby room and look very smart. Available in sizes up to 10 square metres, no building permit is required for these (please check with your council first). 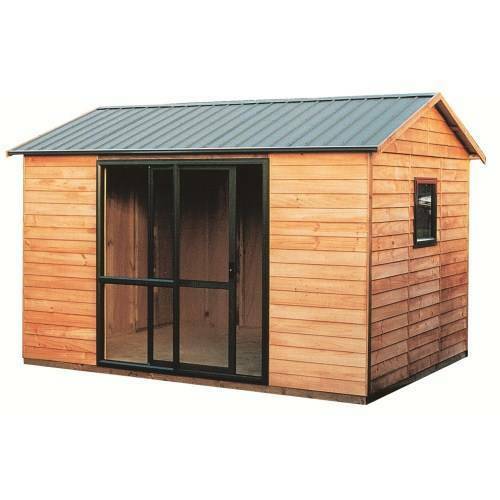 Solidly made from locally grown pine, these are sturdy and long lasting buildings. They are a great addition to any home if you need extra space. The interior can easily be insulated and lined, and with the large ranchslider there’s plenty of natural light and ventilation. We’ve sold these for use as offices and people love them! 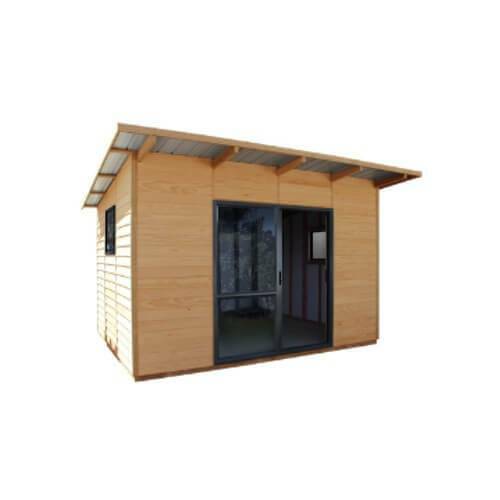 These hobby rooms are easy to assemble and will look great in any backyard. 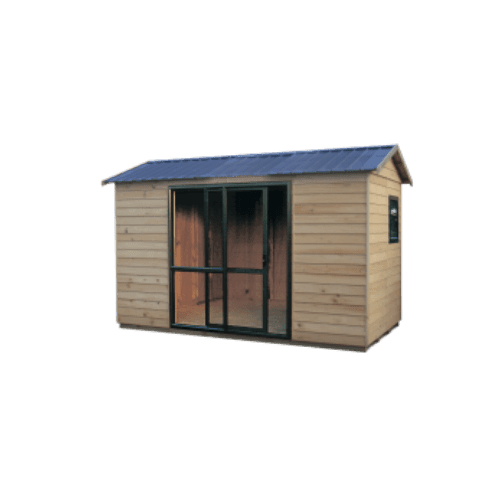 As they are made to order, we can customise them with extra windows, change the roof and joinery colour, or even add a verandah. They are quite possibly the best kitset hobby room available in NZ .